We’d love your help. 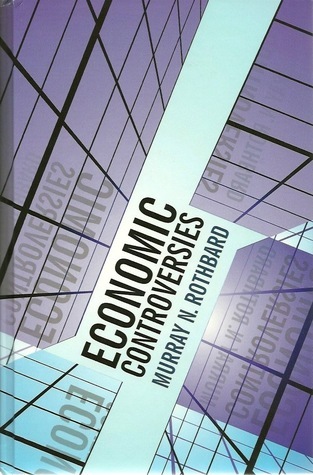 Let us know what’s wrong with this preview of Economic Controversies by Murray N. Rothbard. After Murray Rothbard finished his theoretical magnum opus - Man, Economy, and State - he turned his attention away from pure positive theory toward dealing with the opposition to Austrian theory. The result was a long series of fantastic scholarly articles taking on every error of the day, and our day too. Together they form a volume 2 of his great work. This is Economic Controversies. He covers the same range of topics in Man, Economy, and State. Most all have been published, but they are strewn out among journals that are hard to access or books that are out of print. Some have never been published. Rothbard gives his all in these critiques of the opponents of Austrian theory and policy, slicing through fallacies with breathtaking virtuosity. It's a model of intellectual combat, page after page of razor-sharp thinking and crystal-clear prose. To have this all in one place, beautifully organized, creates a treasure in the history of economic ideas. Gene Epstein of Barron's writes the outstanding introduction. The price is thrillingly affordable for this gigantic hardback. To ask other readers questions about Economic Controversies, please sign up. This book, by comparing non-Austrian methods/theories with that of the Misesian approach, did a lot to fill in some of the gaps I still had after reading the major economic works. I highly recommend this book (which can be read free on the Mises website) to anyone (Austrian or not) who wants to deepen their economic understanding. I picked up this book as I needed to know more about the concept of indifference related to my thesis. It has some good material but unfortunately at some point I found it uninteresting. So, I just put it down.